A surprising number of people still don’t know how Twitter works. So much so that I still get messages from people who read “7 Reasons Why You Should Be Using Twitter 7 Reasons Why You Should Be Using Twitter 7 Reasons Why You Should Be Using Twitter Twitter has now been with us for seven years and counting. 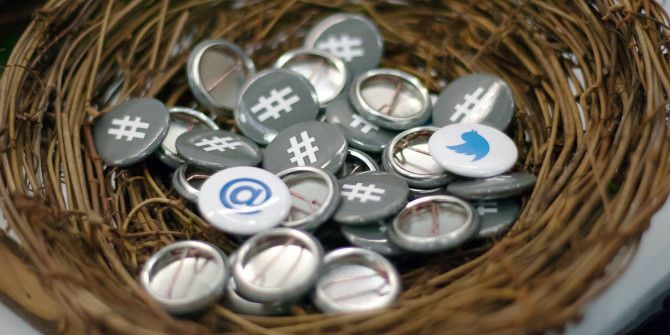 This was seven years to the day since Jack Dorsey sent out the first tweet in 2006, at a time when the micro-blogging social... Read More ” and then ask me what they’re actually meant to do now that they’re on Twitter. And yet Twitter keeps adding new features. On Twitter, you can send ordinary tweets to people, or you can send DMs (direct messages). While tweets can be viewed by everyone, DMs are private. Which means this is the natural stomping ground for trolls and ne’er-do-wells who get a kick out of sending abuse to people online. If you have your Twitter DMs open, anyone can send you a private message. Which is why most people don’t have their DMs open. However, Twitter is now sending DMs from strangers (anyone you don’t follow) into their own separate inbox where they’ll await your approval. This secondary inbox will fill up with messages from strangers, and you’ll get to choose whether to accept or delete each one individually. Any you accept will be moved to your main inbox, while the rest will disappear into the ether. Images and video will also be hidden by default. The overall effect of this change will be to take some power away from the online hate brigade. They will, of course, find another way of delivering their hateful missives to you, but that’s no reason not to at least shut off this one very small avenue. This isn’t a huge change to the way Twitter works, but it is the latest in a line of changes designed to make Twitter a nicer place to play Tweeting While Female: Harassment, and How Twitter Can Fix It Tweeting While Female: Harassment, and How Twitter Can Fix It Twitter's abuse problem is real. Here are some examples, along with expert opinion on how Twitter can solve this. Read More . Whether that’s actually happening is open to debate, but stopping strangers from sending you a series of hate-filled messages is certainly a start. Do you use Twitter? If so, what keeps you using Twitter above other social networks? Have you ever received abuse on Twitter? Will this filtering of DMs help? If you don’t use Twitter, why not? Do you find Twitter confusing? Please let us know in the comments below!